Your Homes Newcastle (YHN), which manages more than 26,000 properties on behalf of Newcastle City Council, is taking an innovative approach to fire safety with a pilot project utilising thermal imaging cameras in tower blocks. The organisation has installed thermal imaging cameras in three of its 45 multi-storey blocks across the city in a trial partnership with OpenView Security Solutions. The pilot involves the installation of Mobotix M16 thermal cameras in bin chute rooms to detect minute increases in temperature, triggering an alarm in YHN’s central enquiry centre before any fire has had a chance to take hold. This ensures that an alarm is raised with the fire service within seconds of a possible fire. The camera continually monitors the temperature in the room, with information relayed back to the fire service enabling them to better prepare their response. David Langhorne, YHN’s Assets and Development Director, said: “The tragic events at Grenfell Tower have undoubtedly put fire safety in multi-storey blocks under a microscope, but we have been trialling new measures in our multi-storey properties for some time. “We pride ourselves on being innovative, so it was an easy decision for us to test something that had not yet been adopted elsewhere. The early detection system provided by the OpenView system has many benefits. Most importantly, the faster response time from the fire service means the potential impact on residents and their properties is minimised and they and their homes are far safer as a result. 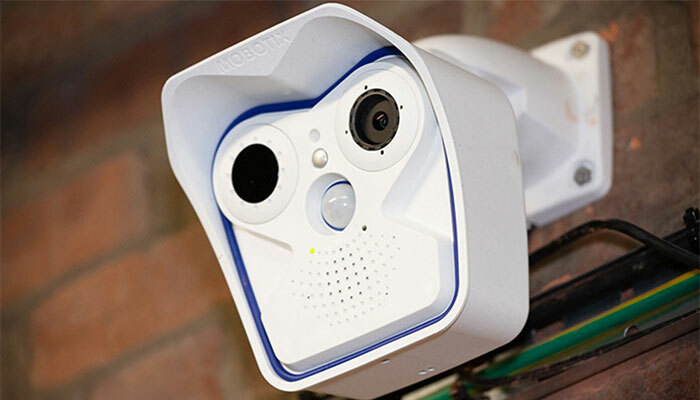 The Mobotix M16 Thermal camera’s lens is triggered when an unexpected heat pattern occurs and automatically sends an alert to the central control room. Images from the thermal lens are automatically presented to operators enabling the exact location of hotspots, such as smouldering fires, to be pinpointed. The standard CCTV lens provides a live feed for further verification of events. YHN’s existing infrastructure, which uses Openview-installed equipment in the blocks to link alarms through to its enquiry centre via Jontek, meant the new approach could be easily implemented without any disruption to residents.